Some people are experts at feeling rotten. No matter what happens, they can always find a cloud attached to their silver lining. How do they do that? How do miserable people get that way? This book has the answers! You'll learn how to be a breath of stale air at any occasion! I listened to the audio book and I was disappointed because it didn’t have a story line. The book was more of a list of references. Brother Bytheway did cover the topic well and I learned many new things. It can be used as a good resource. I occasionally reference one of the tips in this book for a laugh but also to check myself. I’ve also read several of them in business trainings. I really love this book. It is a very easy read. 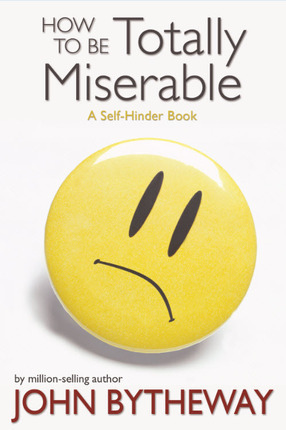 I couldn't stop reading to find out that to be totally miserable is as easy to be totally joyous. I will rather be happy than sad, and nice than mean. I am so grateful for his perspective and his way of making you feel that life isn't as miserable as we think it is. I admit to being a huge fan of John Bytheway. He's engaging, and a wonderful teacher. I am a greater fan of the lessons and principles he teaches. John lays out the plan of misery in a way that anyone can follow, but it also shows us how not to follow that plan. How to choose joy and become a happier person through our attitudes and every day choices. 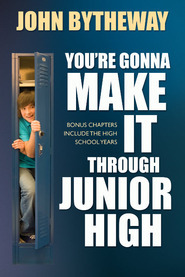 This book is still relevant, and I hope teens choose to let these lessons permeate their lives. What a great book! Only John Bytheway can put things into perspective in ways we can understand. 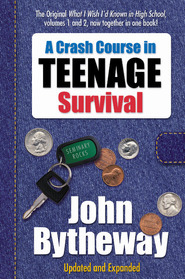 In his introduction, John Bytheway states that in "this life, sufering is mandatory, but misery is optional". Just the start of eye opening thoughts. I highly recommend! This little book is a funny and poignant reminder of what we need to do in order to be happy. John Bytheway does a fantastic job of creating an easy to read resource for staying on track. This book is hilarious! It is a good read especially if your outlook on life is not very positive. Like all of John Bytheway's work, this book is awesome. I love John's insights and his ability to teach without being "preachy". His style is very fun and inspiring. Like all of John Bytheways' work, it was great! It was funny and very good, true material. It was a great book! I found this book to be completely hilarious and sad. The material was presented in a humorous way,but it is so very sad that it is so very true. I highly recommend this book! My parents got me this book when I was a cranky teenager. It's great because you can open to one page and read it instead of having to read in order. I wouldn't recommend the CD of this--it's just a recording of his voice with some sound effects. His talks on CD are way better than his books on CD.